It has always been a future goal of mine to join the family business and keep it alive and well for generations to come. My mother has years of experience and has owned her own shop for a long time in Memphis, and I can proudly say that I have learned from the best. 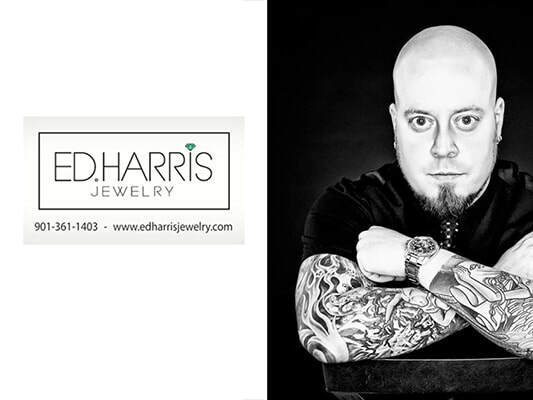 We have access to a massive inventory that includes everything from designer watches, bracelets, necklaces, earrings, and rings in platinum, white and yellow gold, tungsten, titanium, and silver. Come by and I will be happy to give you a tour of our impressive showroom. Weddings, anniversaries, birthdays, holidays, or a thoughtful gift from the heart calls for something elegant and unique. I will be happy to help you in your search, while providing the best quality and the best prices. After working 9 years in the retail jewelry business, I wanted to provide my customers with a more private and comfortable shopping environment. February 1, 1999, Mary Beth Harris Jewelry opened, and I have enjoyed watching this dream become reality… a place where customers can select beautiful jewelry from an extensive inventory, design a unique piece of their own, and provide jewelry repair…all at a reasonable price. The private office setting gives my customers the undivided attention they deserve.